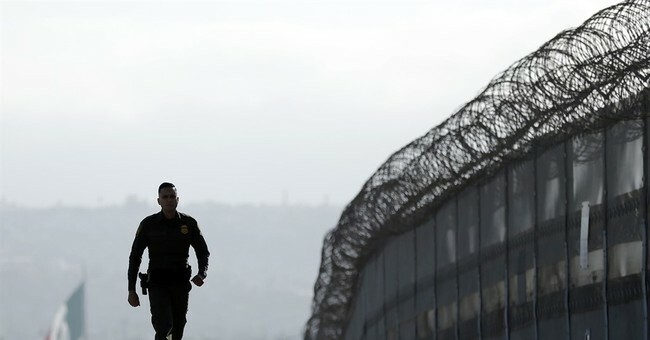 Immigration authorities caught just over half the people who illegally entered the U.S. from Mexico last year, according to an internal Department of Homeland Security report that offers one of the most detailed assessments of border security ever compiled. The report found that 54% of people who entered illegally between border crossings got caught in fiscal 2015. That's much lower than the 81% success rate that Homeland Security cited publicly using a different counting method. The 98-page report was completed in May, and Homeland Security officials have declined to release it, despite calls from some members of Congress to do so. The Associated Press obtained a copy from a government official involved in border issues who acted on condition of anonymity because the department has not made the report public...The report offers some of most detailed measures yet of how secure the border with Mexico is -- a major issue in a presidential campaign that features Republican nominee Donald Trump calling for a wall along the entire 1,954-mile border. The report includes enough material to argue that the government has made big strides or that it is falling woefully short. In terms of people, 170,000 got away from the Border Patrol during fiscal 2015, 210,000 the previous year and 1.7 million in 2005. The huge drop over the last decade is largely explained by the decline in job opportunities since the Great Recession, with more Mexicans now leaving the United States than arriving here. The Obama adminstration has delayed deportation proceedings against more than 56,000 Central American immigrants who have entered the U.S. illegally since 2014, The New York Times reported Thursday. Federal officials told the Times that some deportation cases have been pushed as far back as 2023, creating what one retired immigration judge called "docket chaos." Some of those whose cases have been delayed failed to report to government offices to be fitted with GPS ankle bracelets, the Times reports. Now, federal officials admit that many immigrants with delayed cases may never report for their court dates. In June 2014, the White House said it would work to process and deport illegal immigrants quicker after a surge of families and unaccompanied minors crossed the southern U.S. border over the previous months. The existing immigration regime in the United States is broken. The border is not secure. Deportation priorities have been shunted aside and delayed amid chaos. The US government accidentally granted citizenship to hundreds of illegal immigrants, including at least a handful of Syrian, Afghan and Libyan nationals. And the feds lost track of dozens of soldiers from Afghanistan who came to America for training. The last time the federal government attempted a "comprehensive" reform, we got Obamacare. In light of how that is working out, and all of the evidence mentioned above, why should anyone have confidence that the bureaucracy is capable of fixing an enduring problem when it is already failing at its core functions -- and in some cases, trying to cover it up?